Beautiful rugs aren’t hard to find, but sometimes they’re just not exactly what you’re looking for. Or maybe the one you really love is just not in the budget. I’ve been lucky with two vintage Kilim rug finds and also have a fun graphic rug from IKEA but still have some bare floor space that I’ve been wanting to cover. I’ve also always wanted to try and DIY a larger scale rug that wouldn’t fall apart or wear out in a few weeks, so I decided to jump in head first with a woven rug. It turned out even better than I expected and only cost me about $30 to make. 1. Supplies: 4 yrds. of black fabric yardage (use broadcloth and take a coupon), 2 full size flat sheets in white (thrifted), 4 – 2x2x6 boards for the frame, one box of aluminum nails (150+ ct), hammer, scissors, ruler, pencil, and a ton of Netflix shows to watch as you weave. 2. Build your frame according to the height you prefer. You can cut your beams or you can just nail them with extra length on the ends. Nail two nails in each place where your beams meet so they won’t get wonky. Nail your nails about 2/3″ apart from each other. I used 66 nails on the top and 66 on the bottom. Measure them out with a ruler and pencil to keep things even. 3. Cut 1″ strips out of one of your washed sheets as shown. Don’t cut stripes through to the end but cut all but 1″ from the edge. Then start another cut 1″ down the line but don’t cut all the way to that end. This will create a zig-zag, so you’re lengthening your cut of fabric without having to have knots every few feet. This fabric will make up your warp, the fabric that runs up and down your loom. 4. Tie a loose knot in your first strip and loop it around the bottom left corner nail. Then wrap it up and down until you run out. Tie another strip to your end and continue until you’ve finished. Make 1″ cuts along the top of your second sheet and rip your strips. It’s faster than cutting and you’ll get consistent widths. Pull loose threads out as you go. 5. Do this for your black fabric as well. 6. Using your first strip (I started with white at the bottom of my frame as a border), tie a knot in the bottom right corner and weave it over and under all the way across until you get to the opposite corner. Weave it through your loose knot to secure your starting point from slipping out. Now go back the opposite direction weaving over and under the opposite strips until you get to the original corner. Press your strips down as you go for a tight weave. 7. If you want to continue with solid strips across your rug, continue in this way. However, I wanted three sections to create a pattern. So after weaving three rows all the way across, I counted my nails across and divided by three (66 divided by 3 = 22). I started my fourth row from the left edge and counted across 22 nails. I taped nail #22 because it will be a seam. Starting from that nail I counted across 23 and taped that nail. That became my second seam. The rows won’t be exactly even because they do share these two seams but that’s fine. 8. This photo shows how to start a new block without using a knot. Take a strip of your next color and start about eight strands into your block. Weave it through to the edge that has already been completed (or at least the edge of your block if starting a new row). Each block will share a strand with the block next to it to keep things together. It’s the seam where the two colors meet. 9. Make sure you weave around that shared strand and then instead of going back in and weaving the opposite of over and under, you weave through the same ones. This will double the thickness of that strand a little, but it allows you to weave in your ends without knots and will be secured once you add more rows and press down firmly. 10. Finish that row and then double back weaving over and under the opposite strands until you’ve finished six rows. 11. If you run out of fabric before you finish a full block, simply finish what you have. And if it’s in the middle of the block, end it on the back side. If it’s on the end of the block, you can weave it up with the next strand as shown. To add another strand mid-block, overlap it about 4-6″ weaving it through the SAME strands as the strip before and pressing the starting end through to the back so it doesn’t show. Press the rows down together and then weave to the end of your block and start back the opposite direction going over and under the opposite strands again. Continue all of your blocks and expect it to be a long-term project. Once you have finished your last row of blocks, you can weave all the way across again with one of the colors to give it a border. I wove all the way up to my nails, so it was a tight squeeze on that last row. But I didn’t want any excess. 12. I added tassels by ripping more black fabric and cutting 9″ strips. Then I folded them in half, unhooked one strip of white warped fabric from its nail at a time, and pushed the folded black strip through. Then I pulled the loose ends through and tightened it. Once done I trimmed my ends down to make them even. This project is definitely not a quick one, but it was really satisfying to finally tie that last tassel on and see my new rug! There are a number of ways to create patterns in weaving, but it’s best to start with something simple on your first few tries until you’re really familiar with it. Then you can try triangles or arrow shapes or more than two colors. My rug ended up measuring about 4’x6′ which isn’t exactly big enough for a living room arrangement but would work in my kids’ shared room or under a desk in a studio. It was one of those projects that I could work on an hour at a time throughout the week and longer on the weekends. It’s machine washable since it’s made of cotton and I might even spray it with something to protect it from dirty dog paws. I would suggest machine washing all of your fabric and sheets before starting for minimal shrinkage. Hang or lay flat to dry. It is also going to need a rug mat underneath so it won’t slip. The whole project is looking so amazing . Though hard . This can take lot of time but worth the effort. Love it. What a fun DIY! Love it paired with that Eames rocker. I would LOVE to make this! What a great project, maybe one of my faves you ladies have posted. Maybe you’ll have to be soo patient, but I would try especially because it’s difficult to find special rugs! Maybe I’m just reading wrong, but her rug seems to be 3 2×6 rugs attached. Is that incorrect? Or did she build a 6 foot square frame? If it is 3 rugs attached, I seem to not be able to find where that step is. I’ve read the instructions a few times, but I’m still confused! Otherwise I love it and want to try this! Congrats on another amazing DIY. Thanks for sharing! Ps: I love every single one of the decorations in your house! What a pretty rug it became! I really like the pattern. rachel – this is so amazing! i absolutely love it and would love to make one, but I don’t have that kind of patience :). That is beautiful! well done you, can you make me one? I’ve seen so many cool weaving projects around the blogosphere lately! You’ve totally inspired me to give it a try! Rachel, you are AMAZING!!! What a beautiful rug! Wow, I’m seriously impressed! I love the final result. Unique rugs can be awfully expensive, too, so it’s great to be able to customize one to fit your needs! Love these kind of rugs! that looks amazing but it seems like one of those projects that would give me more of a sense of stress than accomplishment! I can’t believe you made that! It must be so rewarding to complete a huge project like that. This looks like a great summer project. I’ve never tried weaving, but it looks simple enough! Such an awesome idea. I’ll definitely be making one for my new apartment! Awesome job! It looks tedious, but the results are just lovely. I am so completely impressed by you right now! That turned out awesome! i cant believe you did that! wow! That is SO COOL. Thanks for the tutorial! We totally need a rug! This looks like so much fun! This looks amazing, what an inspiration! I was hoping to rug hook a carpet for my front room but this gives me another method to consider. Thanks for the step by step and images! Such a cute project. Rachel you’re super mom! Great DIY, what a great addition to a room. Looks like a doable DIY! awesome! i’m working on a braided rug for my living room, it’s taking forever but i know it’ll last forever and make me so proud when it’s done. You guys are seriously amazing with your DIYS. LOVE. This is the coolest DIY that I think I have ever seen! LOVE. A new review of the Mackage 2013 runway show from World MasterCard Fashion Week is up on Local & Opulent. If you like leather jackets, stylish coats or insanely cool handbags, this is not to be missed! Amazing DIY, really great idea, thanks for sharing! Gosh, this is gorgeous! I’ve been on the hunt for the perfect black and white rug and haven’t found just the right one…maybe it’s b/c I just need to make one myself! 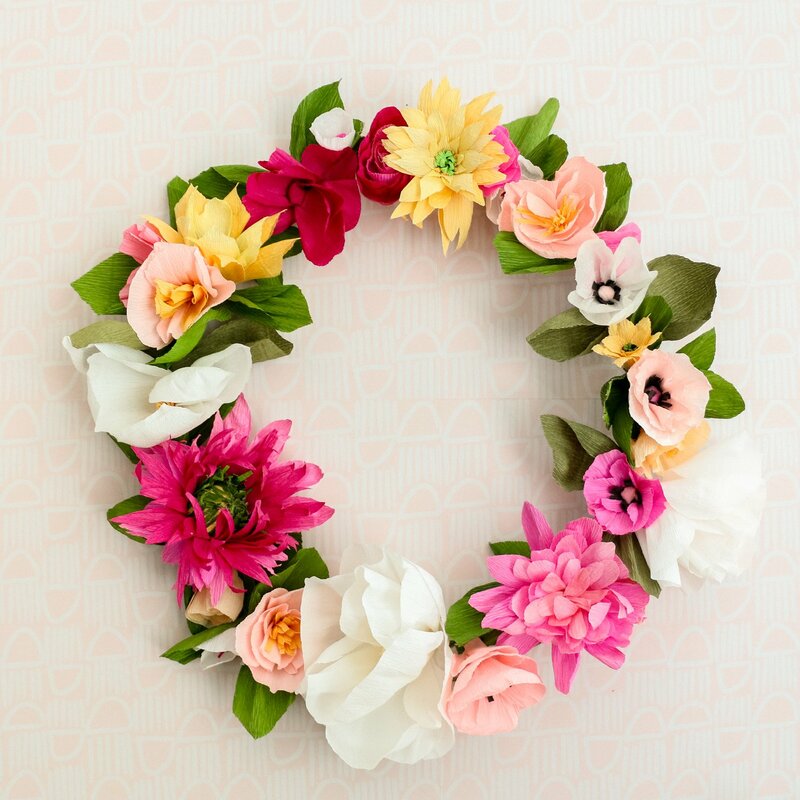 Thanks SO much for sharing this great DIY! This is AMAZING! I’ve always wanted to do this. My goodness. This looks awesome. You must have some patience, but by the looks of it, it was worth it! You hit this one outta the ballpark, Rachel! So so goooood. I want one in my house right now! Oo, that is great and I like it.. I need to try. So cute! I’ve never tried weaving or anything but I might have to try! This is so amazing! At first I thought you just sewed three purchased rugs together but NO! You made the whole amazing and beautiful thing! That room is absolutely more than adorable! You guys need to have your own tv show! Oh wow – this is an incredibly impressive DIY! I don’t think I’d have the patience but the final product is amazing! This is fantastic! I once volunteered at a refuge in India where the women used looms to weave rugs, I really liked what they made and had a go but it seemed like something that was impossible here without all the apparatus. What an amazing rug! I love it! Incredible. I must do this. Can you approximate how long this took? Is is something you could do in a few hours? A day? This idea seems simple enough that I could do it! I sometimes am craft challenged, haha. Love the colors of the rug! That is wonderful! I really enjoy weaving and would love to make something like this! Booth, it’s one rug built on a large frame. This is awesome!! I am so excited to try this! Blown away! I love this so much! Brilliant! Rachel you are a superwoman! This turned out amazing!!! So how many hours does this take? I was looking for a rug, and as you say it is really hard to find the right one, but I’m sort of scared by the immensity of the project now:D.
HOLY CHEESEBALLS this DIY is amazing!! I’m really loving the direction Rachel has been going in with her home decor and DIYs. Beautiful! Wow, beautiful! I would love to know where that cushion with the tribal pattern came from too! I’ve been looking for a rug for my kids playroom forever.. I might just have to make one now. oh wow! i never would have thought that the rug in the photo was hand made! it looked something that i would find in a furniture store (or something similar). i kind of wish the instructions were not a wall of text. even if there weren’t photos to divide the text, maybe a newline? it’ll definitely make for an easier read! (for some people, including me, it’d encourage them to read through the text versus scroll down instinctively. walls of text just have a way of turning off some people..). either way, that’s just my two cents about it. I am truly impressed!!! B.R.A.V.O! I seriously love this so much! she is one clever lady for sure. simply wow!!! I’d like to try. So cool! Putting this into my DIY summer project folder! love this! looks like it’s fairly straight forward to make as well! I think this the most exciting project I have come across on the net- it’s so well executed and is just beautiful! I am really looking forward to trying this one. Thanks Rachel, you rock my cotton socks! Great tutorial! I have been wanting to make a rug for my daugthers floor in pink, orange and white. I may have to try this and practice. I love yours! I love EVERYTHING Rachel makes. The only downside is that she makes me feel like a lazy money-waster. Lol. Cushion is from Crate and Barrell last summer. It took about 25 hrs. to make it so I would spend about 1-2 hours a day when I could manage it after everyone was asleep or occupied (mama to two), and then I could knock out a big chunk each weekend with my husband home to help with the kids. I kept it against the wall in my dining room while I worked so I didn’t have to move it until I was done. I’m currently storing it in my garage because I know I’ll use it again. The total cost of the project was about $30 since I thrifted the white sheets and my black broadcloth was cheap. If I’d used a 40% coupon or my military discount I could’ve saved more but I didn’t have a coupon and it wasn’t the right day of the week for the discount when I bought supplies. The wood was scrap but that size is cheap at any hardware store. Also, nails cost about $5 but you may already have some on hand. It’s definitely a time investment but unless you’re in a rush to get a rug down for a special occasion or a party or something, I’d say it’s totally worth it to make your own. Saves a ton on money if you have the patience. I want to make one of these for my bedroom now! LOVE IT! I am so so excited to try this! 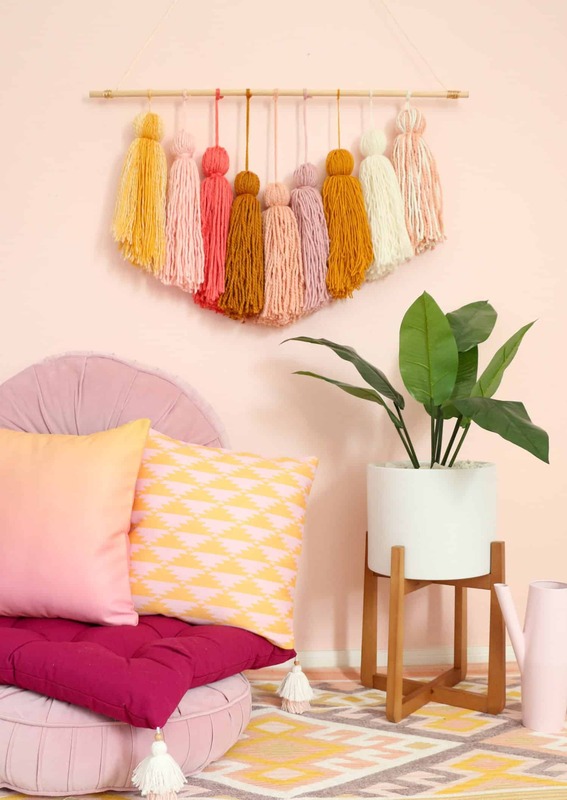 I’ve always wanted to try braiding a rug but it seemed like a hassle to collect all the fabrics – I like that this one only needs two colours to give such a great result! OMG!This just is an amazing work and it looks really good! I wish I could do this,but it looks quiet difficult! Wow! This rug is awesome! And you clearly have a lot more patience than I would! Nice!! Going to pick up material for a camo rug for mygrandsons room he will love it. A wonderful idea for back porch times in nice weather!!! Dang! I thought I was going to have a social life this weekend…guess not — I’ll be tackling that bare bit of living room floor that bothers me. Looks great doll! Must, must, must bookmark this to do someday!!!! So cool! I love it! I love the design and the technique seems like on I could learn. This looks sooooo good. I love rugs. Where can I get that pink cushion on the floor? Totally awesome and appeal to my math brain heart! I will for sure have to give this a try!